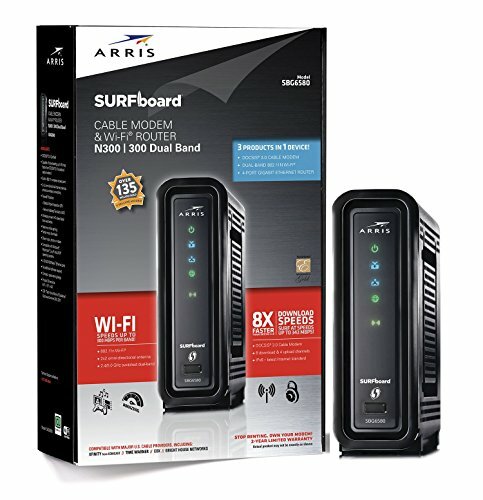 The SURFboard SBG6580 is a step up from the 6400 providing a dual-band wireless N router, ideal for areas with many networks. This is still a wireless N router so if you are planning on upgrading your wireless devices soon, we recommend using a AC router. This unit has 4 gigabit ports which is ideal for multiple wired connections.